Human cells have a sophisticated regulatory system that consists of labeling proteins with the small molecule ubiquitin. In a first, a team from the Technical University of Munich (TUM) has succeeded in marking proteins with ubiquitin in a targeted manner in test tubes as well as in living cells. The procedure opens the door to exploring the inner workings of this vital regulatory system. 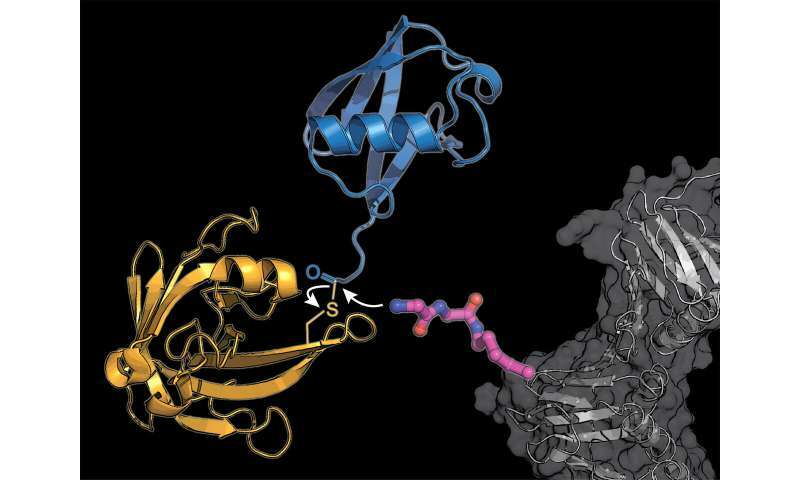 Plants, fungi, animals and humans express the protein ubiquitin. It comprises a sequence of 76 amino acids, making it a relatively small biomolecule. But its influence is far-reaching: the type, position and number of ubiquitin molecules bound to proteins determine their stability, function, and location within the cell. The discovery of the important role this cellular regulatory system plays in the controlled degradation of proteins was acknowledged with the 2004 Nobel Prize in Chemistry. But, in many cases the details of how ubiquitin modifications affect the function of cells remains unclear. 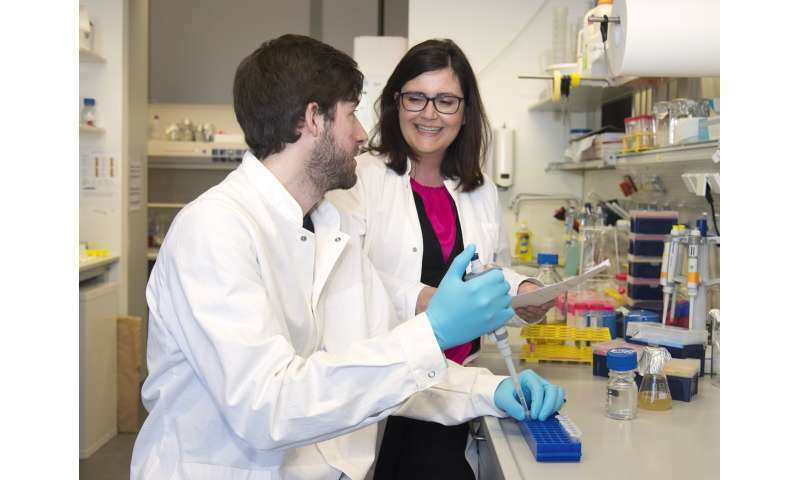 Kathrin Lang's team has now developed a method for attaching ubiquitin labels to targeted proteins—a key to exploring the system. "The biggest challenge was to align the various steps—the incorporation of the unnatural amino acid into a target protein and the transfer of ubiquitin by the enzyme sortase—in such a way that they will work not only in the test tube but also in living cells," recalls Maximilian Fottner, the lead author of the study.